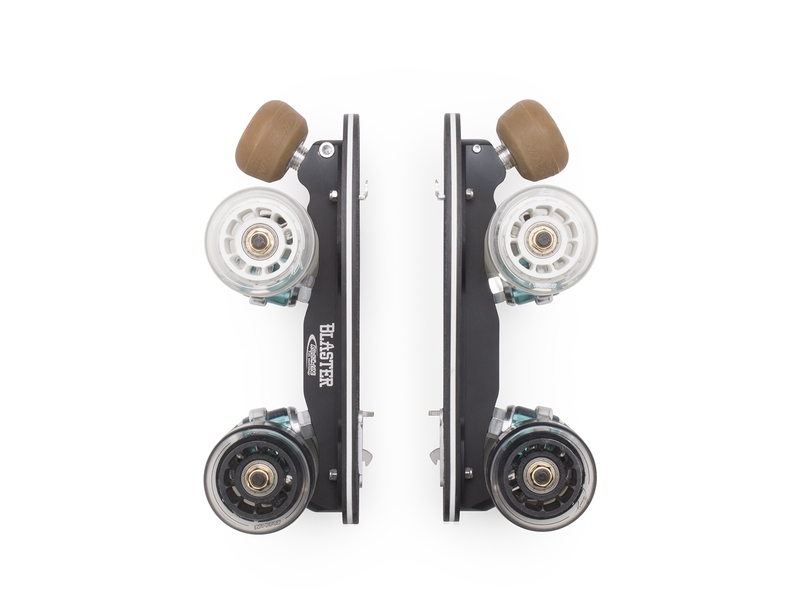 To align its products with many rollerskating practices, Flaneurz created three rolling parts ranges: First range, Iconique range and Premium range. One element is communal to the three Flaneurz ranges: the clip on and clip out system. Iconique and Premium ranges have also the same ABEC 7 lubricated bearings. Iconic are ideals for urban mobility, occasional or regular trip and for strolls. If your goal is to improve your skating level and develop a sport practice or if your technique is already confirmed, opt for Premium range. For each three rolling parts ranges, components were selected with attention. Our products are not gadgets, they are made to last and we ensure you a long-term use. It is manually made and assemble in our skatelab in France. Besides the possibility to clip-out your shoes, you can skate with comfort and precision. You can also discover a roller skating sport (roller dance, slalom, derby, skate park, hockey…). Wheels that compose the First rolling parts are adapted to all types of ground. There characteristics are suitables for beginners: with a 80 A hardness, they are malleable enough to grip an irregular floor, keeping an hardness which make you improve quickly. This is why Flaneurz selected those wheels. 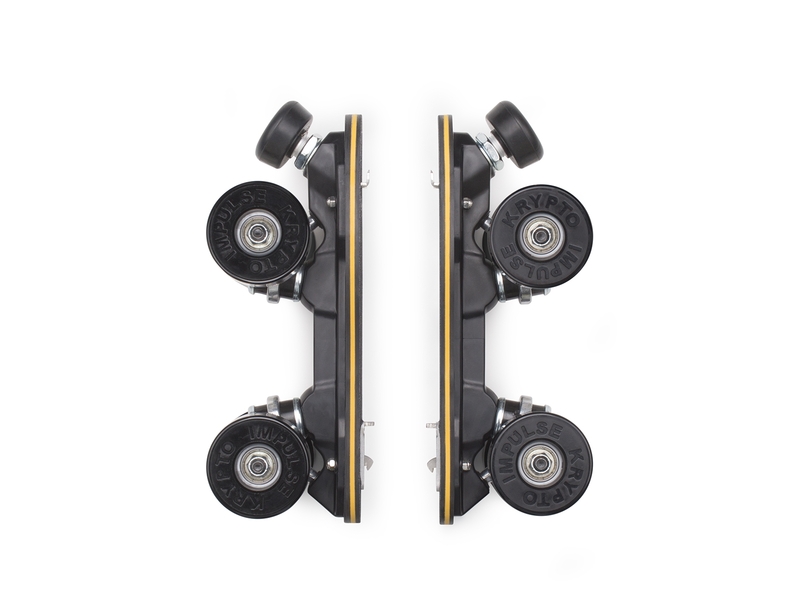 We choose to equip First range with the Rio Roller plate. Rio Roller is a British brand, it is a skate reference since the 90’s. Made in injected plastic, this plate has a distance between front and back wheels above the average, it enables to have a comfortable longitudinal stability. Thus, the risk to tip over toward the front or the back is limited. 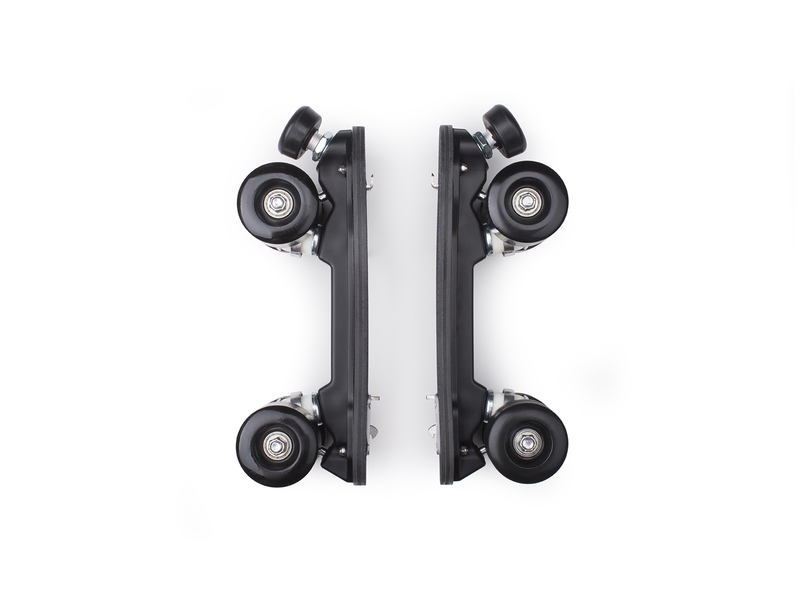 Moreover, trucks are wider than Iconique and Premium trucks, it improves the lateral stability. All those advantages facilitate the skating experience and enable the progression with assurance. Every plate components are made in China in factories that supply famous skating brands. 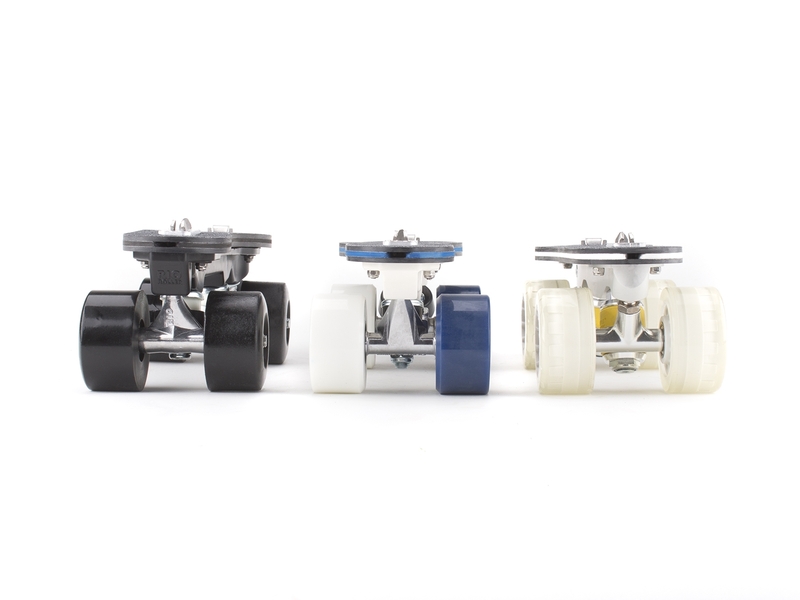 The rolling part is equipped with ABEC 5 chrome and lubricated bearings. The rolling part is available exclusively in monochrome (in black color). This range is composed of 78A hardness wheels. Comfortable, even in an irregular ground, they are less reactive and fast. They are made by Kryptonics, an american brand which revolutionizes roller skating and skateboard universes since 1965. Krypto Impulse wheels, made after the mythic “Kryptos-kryptos”, were selected by Flaneurz for you to roll easily while moving around. The plate is made in the United States, it is light and created by Sure Grip brand. This brand works in the roller skate world since 1937. It is made in Nylon Dupont® (plastic composite materials) injected, thus it is comfortable and flexible. For this range, Flaneurz chose local distribution, that is why Roll Line has been selected for the rolling parts components Roll Line is an Italian brand leader in roller derby and figure skating equipment. 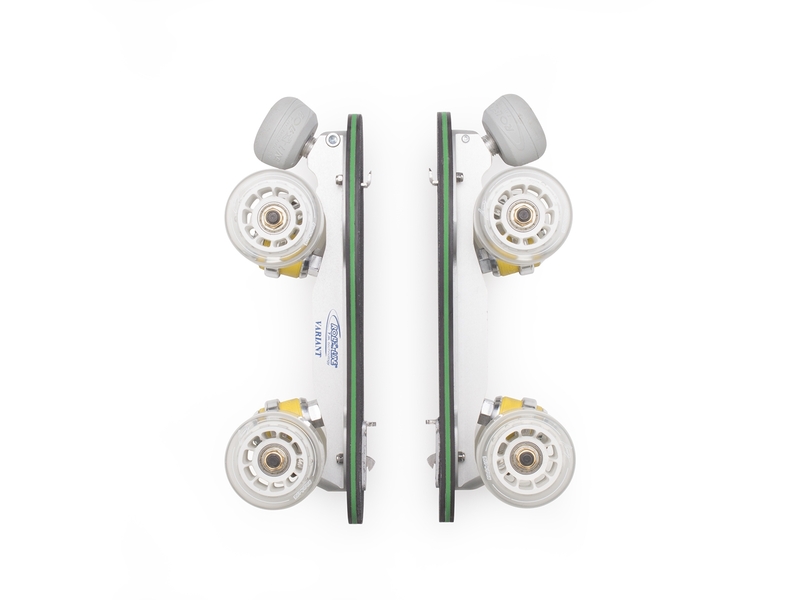 The Helium Roll Line wheels are chosen for their reactivity thanks to their injected plastic rims. Their color (white or black) were selected to match Flaneurz Premium range. Those wheels were created exclusively for our clip on quad skates. Their hardness is 82A, and they are mixed (indoors/outdoors). Those wheels are more convenient for smooth surfaces than for irregular ones. Roll Line Blaster and Variant plates are precise and sturdy. They are made in aluminium manufactured in the mass. Trucks measure 8 millimeter. Cushions offer a hardness which vary according to plate size. Variant and Blaster plates are almost similar, they are different into their colours, brakes components, and cushions. 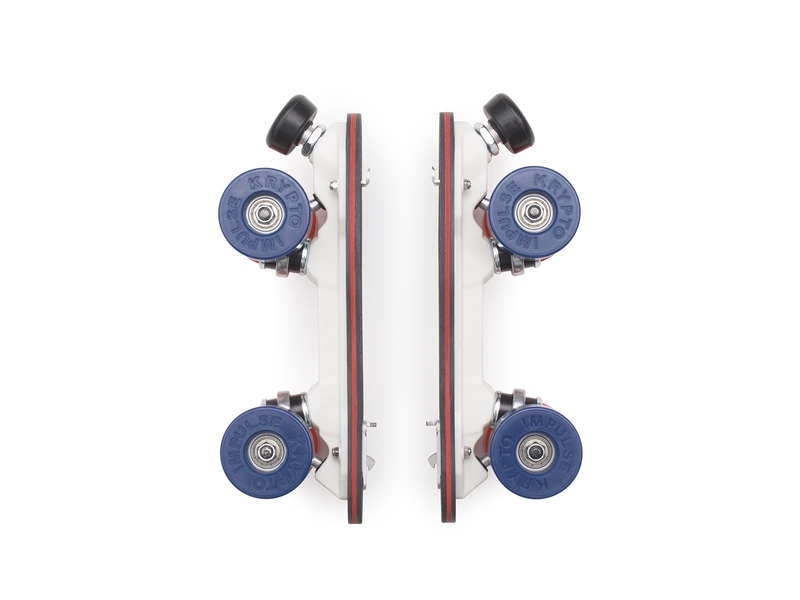 Initially, Variant plate is designed for figure skating and Blaster plate is dedicated to roller derby. First, Iconique and Premium range are availables for all Ready-to-Roll shoes models. See you at the e-shop for more technical details about our Flaneurz Premium, Iconique and First ranges rolling parts.. Feel free to contact us for any questions! To be informed of our news and First, Iconic and Premium range products, subscribe to our newsletter.